Any scientist will tell you that science is all about questions, not answers. Young children are naturally curious: babies and toddlers will touch and taste anything, the youngest primary school children ask questions all the time and they continue to explore by looking, touching, listening, even smelling. They are excellent scientists. As children get older they are more socially aware and start to worry that questioning may not be ‘cool’. By the time our children reach secondary school, many have given up on curiosity. They have stopped asking questions and have switched-off science. In this article I will consider why it is important to promote science in primary school children, some of the factors that might be responsible for turning children off science, and what we, the educators and parents, could do to keep children’s curiosity alive. Katya Hall, deputy Director-General of the CBI, said in the recent report on primary science that, “There is real concern amongst British businesses that the STEM [science, technology, engineering and maths] skills shortages we are already seeing will increase in the coming years, acting as a brake on growth and limiting our success in industries with high growth potential……We are not seeing enough young people pursuing further study or careers in science……Too many young people are already ‘switched off to science by age 11.” If she is right, and the next generation is not trained in science subjects, the UK will struggle to provide itself with medical professionals to care for us in our old age . Also, if the UK can’t design and can’t manufacture, at high quality and low price, products people want to buy, then industries will drift out of the country . So are children switched off science at primary school? There are several possibilities but perhaps one of the most prescient is a lack of time in the primary school timetable for anything other than English or maths. In the CBI report  53% of teachers surveyed said that science has become less of a priority in the curriculum. Although there are no legal requirements, the old QCA formerly produced guidance in the form of ‘starting points’ to help primary schools to allocate curriculum time appropriately; one and a half hours for KS1 science and two hours for KS2 science . Certainly the teachers I meet agree, that whilst this is the aim in their school, the pressure to perform in English and maths at KS1 and KS2 tests is huge, and with recent pay reforms linking performance to pay, most teachers feel that they have to focus on these subjects to meet targets set at their annual appraisal, leading to narrower curriculum choices & opportunities for students . It seems then, that children are not exposed to enough science at a young age. Another difficulty that I hear time and again from primary teachers is that their school does not have enough equipment to deliver the science curriculum effectively. For example, the new curriculum states that children in KS2 should use data loggers to develop skills measuring and collecting data but few schools have this equipment. Another problem which was highlighted in the CBI report was that “a third of 260 teachers surveyed said they lacked confidence teaching science.” Most primary science subject leaders I have met have had little or no CPD during the last two or three years, and none is available for their colleagues because schools do not have the funds to send teachers on training courses. Also, we expect primary teachers to teach ten to twelve subjects, to be generalists. Remember though, that many have not studied science beyond GCSE level. Science by its nature is an ever-changing subject so we have to ask, is it reasonable to expect non-specialist teachers to excite young children and stimulate deep scientific thinking when they themselves feel lacking in subject knowledge? There are indeed children who do enjoy science at school and do opt to study science at GCSE and A level. Sounds promising, but I have talked to secondary school teachers who tell me that very few of these students opt for science as a career; less than 17 per cent aspire to a career in science, possibly because students and parents have the perception that science offers only a very limited range of careers, for example doctor, scientist or science teacher .Professor Dale Harrow, Dean of the School of Design at the RCA says, “Employers can’t sit in their offices and wait for the best talent to come to them. Companies should attempt to engage with students earlier, through projects that enable them not just to meet the students but to present their company.”  Let’s hope that industry is listening. Having considered many factors which may contribute to ‘switching off’ children from science, what can be done to improve the situation? There is a lot of STEM education support from businesses and universities with professional engineers and scientists visiting schools and running workshops to stimulate interest in science, maths and engineering subjects. Some museums (sometimes with sponsorship from businesses or universities) already work with teachers and pupils, offering exciting science activities. Several of our larger national museums (Natural History Museum, Science Museum, At Bristol, and many more) have websites providing activities, quizzes and games, easily accessible by teachers and children. These could be used in the classroom or at home. So, those of us with influence on children’s education must do what we can. We must expose children to science and show them that it is exciting and rewarding subject to study and can lead to many varied career opportunities. Any professional scientists or engineers wanting to make a difference to the success of the UK science and industry could consider becoming a STEM ambassador. To find out how and register, visit http://www.stemnet.org.uk/ambassadors/how-to-become-a-stem-ambassador/. Whenever I have seen professional scientists and engineers visit children in a primary school classroom, all the children are fully engaged and they are excited. The activities that the professional shares can be very simple, such as building bridges with straws, but the fact that an adult is there who does something similar in ‘real’ life is enough to stimulate questions from the children and an enthusiasm to investigate. Parents, even if you do not have a science background, you are able to expose your child to science using books and interactive websites. One website designed with children in mind is Ask the Biologist. Everything you see is written by professional scientists who are experts in their own areas of interest. These biology-related scientists give up their own free time to write answers to children’s questions. How exciting for a child to know that their question was read and then receive an answer from a real scientist. For other ideas look at the rest of this website and search the museum websites. Could you consider running a science club in your child’s primary school? There are many resources online to help you get started. Try http://www.sciencekids.co.nz/experiments.html where you will find a free hands-on guide to many safe experiments that can be done using simple ingredients found around your house. There are many more websites that present science through games and quizzes. Many are free and open access although though some of these such as http://www.science4us.com/elementary-physical-science/force-and-motion/motion/you may need to subscribe to. To teachers I say, make use of the excellent resources on Primary Science Teaching Trust (PSTT) http://www.pstt.org.uk/ and the Association of Science Education (ASE) http://www.ase.org.uk/home/websites. 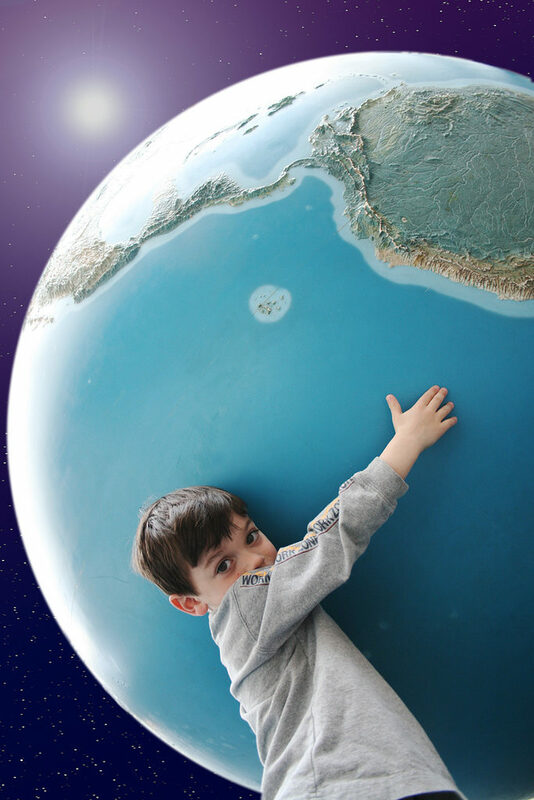 Lead by example by asking questions, looking for answers and explore the world with the children you teach. Do not be afraid to say to children, “I don’t know the answer to that. Let’s think about how we can find out.” Look upon science as detective work – finding out about the world. After all, isn’t this is what a scientist really does?